Taking the shinkansen from Tokyo to Kyoto is an experience in itself. On a good day you can even see the symmetrical beauty of the snow-clad Mt. Fuji as you get a taste of Japanese efficiency. The bullet-train gets you there in less than two hours traveling at a speed nearing 300 kmph. The attendants bow deeply every time they enter and leave a coach. The punctuality, cleanliness and efficiency of these trains reminded me of Germany. Kyoto, like the train journey, is a study in contrasts. The traditional and the new jostle to impress the visitor. 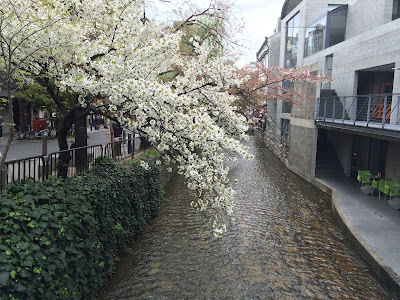 This was my first visit to Kyoto and I quite loved the city. 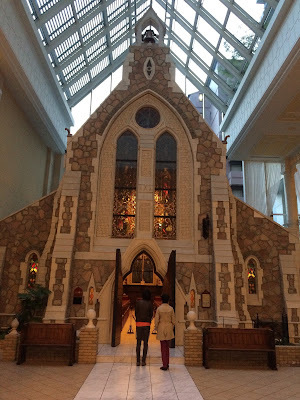 We stayed at the Monterey Hotel: a small interesting hotel that combines the local Japanese ethos with a little bit of Britain. The hotel was conveniently located within walking distance of public transport, restaurants and cafes. There was even a cute little chapel within the hotel! A local student had offered to take us around the city. 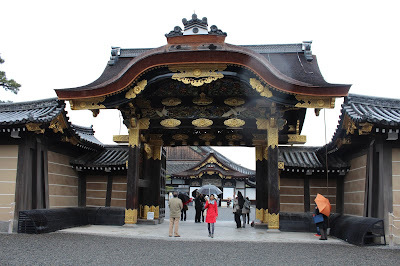 She gave us a tour of the palace and the temples. 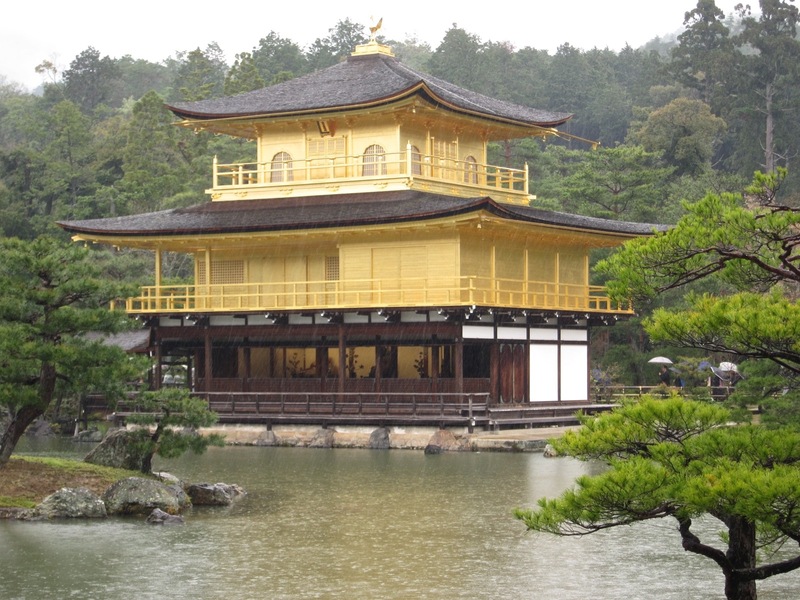 The most striking of these is clearly the Kinkaku-ji temple with its golden facade shimmering as a backdrop to the lake in front of it - one of the most iconic pictures of Kyoto. 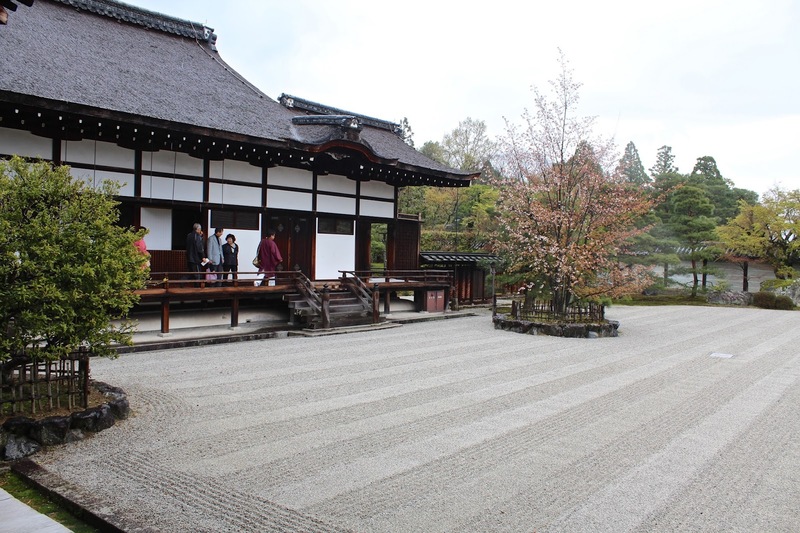 The Ryoan-ji temple is impressive for its dry, rock garden maintained by monks and its calming peaceful interiors. The Nijo castle takes you back to the time of the Shoguns; there are several halls where the shoguns lived and ruled from a long time back. I still remember my early fascination with the shoguns from the books I read and movies I watched during my childhood. 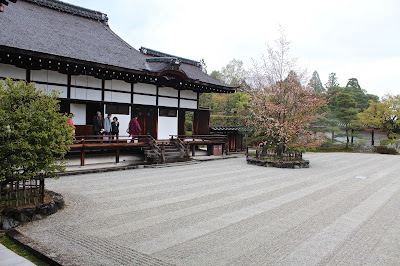 The large gardens of Nijo castle were celebrating the cherry blossom season and the flowers considerably brightened the atmosphere made sombre by the stark grey of the palace walls. We also visited the Ninna-ji temple which we found interesting with its taller facade and grove of a late blooming cherry called Omuro. In fact, there is no dearth of great temples in Kyoto. Each of them has a distinct look and feel and many of them are located in surroundings that are no less extraordinary. We took long walks through the streets of Kyoto and walking into unknown restaurants we came by. We were always pleasantly surprised by the food we ate. Once we found a place advertising tapas which turned out to be such a delight. Run by two sisters, locals, they turned out some of the most amazing small plates I have eaten. We spent an evening walking through the streets of Kyoto’s famous geisha town: Gion. 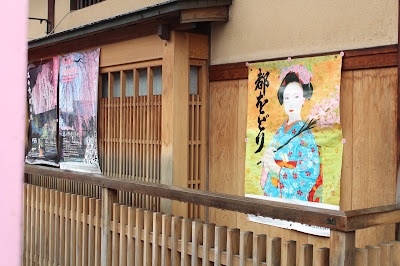 While the geisha culture has more-or-less disappeared in most of Japan, there is still some of tradition alive here. It is here that you most often run into kimono-clad women, but many turn out to be dressed up tourists. 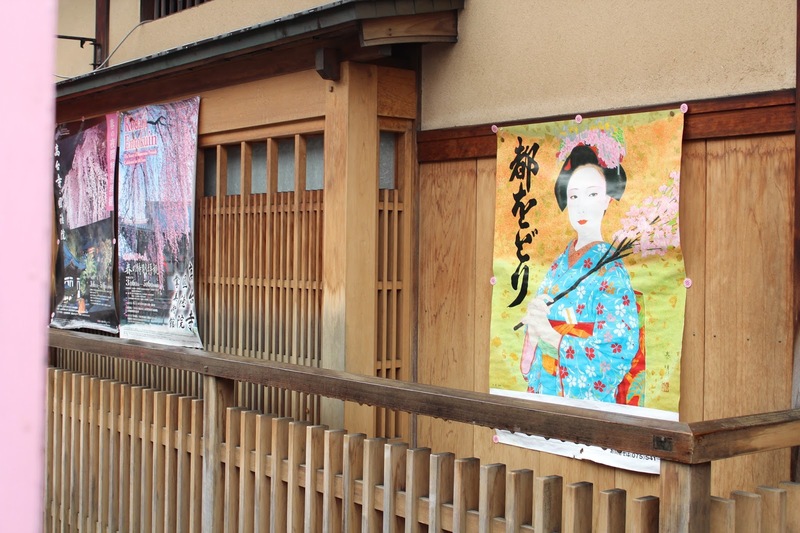 If you are lucky, you may see a maiko, a geisha apprentice, visiting one of the tea-houses that line the road. 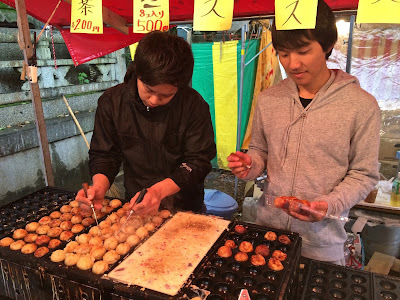 The temple grounds of Kyoto are often the best place to sample of the local comfort food. The thokoyaki with their octopus filling were quite delicious! Japan’s famous whisky distillery, Suntory, is located very close to Kyoto. This is home of the world-famous single-malt Yamasaki which lately has just disappeared from shelves everywhere after it won the award of the world’s best single-malt. They have an interesting history. Apparently, a few generations a Japanese man went to Scotland, married a local girl and then came back to begin whisky production here. The rest, as they say, is history!